If you ever find yourself wandering through the gorgeous little town of Terrigal, New South Wales, treat yourself to an elegant dinner at Seasalt Restaurant. 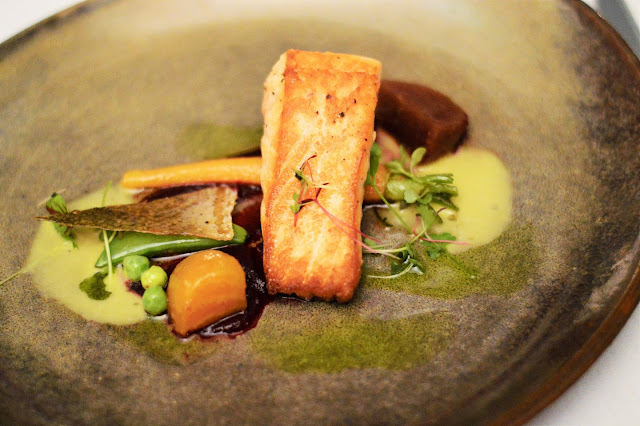 Seasalt is undoubtedly one of THE BEST dining experiences this central coast community has to offer. 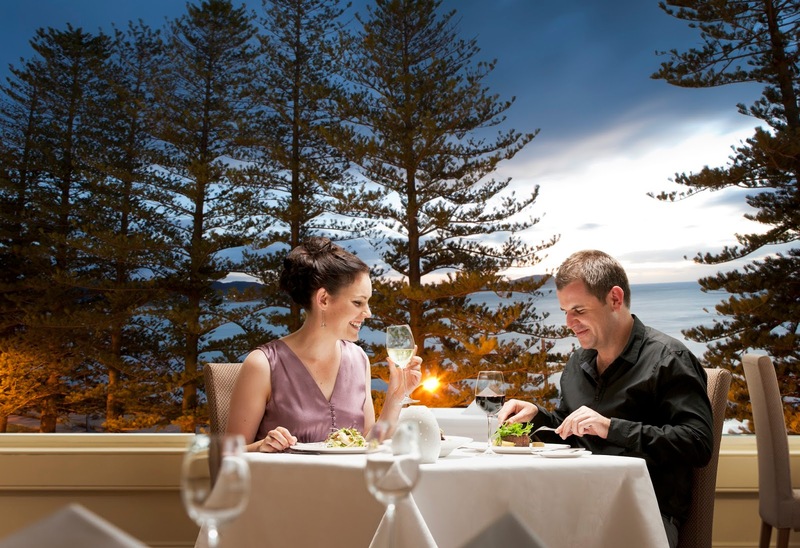 The restaurant is located in the Crowne Plaza Terrigal and is renowned for it's sensational ocean views, and thoughtfully prepared seasonal menus. 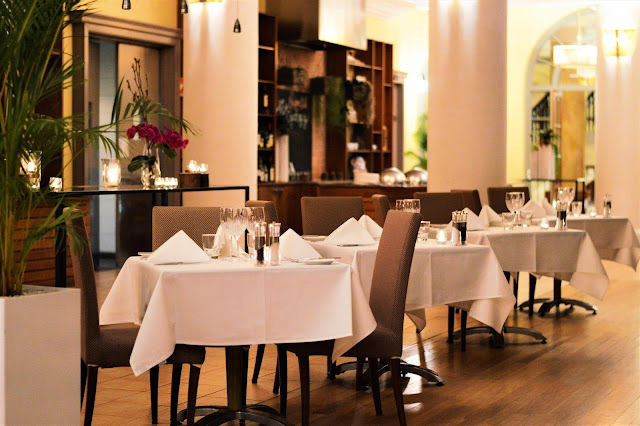 The beautifully appointed restaurant exudes sophistication & elegance, making it the perfect place for a romantic dinner date or special occasion. Galacia is a region in Northern Spain well known for pulperias (octopus restaurants). The octopus is tenderized, then braised for 2 hours in a mixture of red wine, port pomegranate, pancetta, paprika, onion, garlic, and herbs. The octopus is then rolled, compressed, and thinly sliced. This dish is extremely tender and bursting with beautiful, rich flavours! The lamb shoulder is heavily marbled producing a rich and flavourful cut. Because the shoulder muscles do more work they are typically less tender and require slower cooking methods The lamb should at Seasalt is braised for 6 hours in red wine, herbs, onion, carrot, celery, and garlic. It is thin portioned into medallions and roasted until crisp. Is your mouth watering? A memorable end to a magnificent degustation. 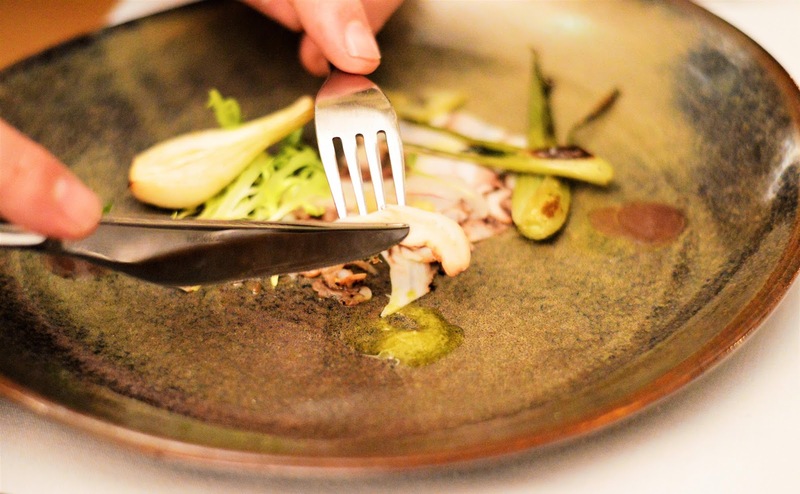 Seasalt's attention to detail, and thoughtfully prepared degustation menu make it a memorable gastronomic experience, perfect for special occasions! Seasalt is open from 7am to 10pm and offers buffet breakfasts, al a carte, and degustations. For more information click here. Experience a unique Culinary Journey with Seasalt. 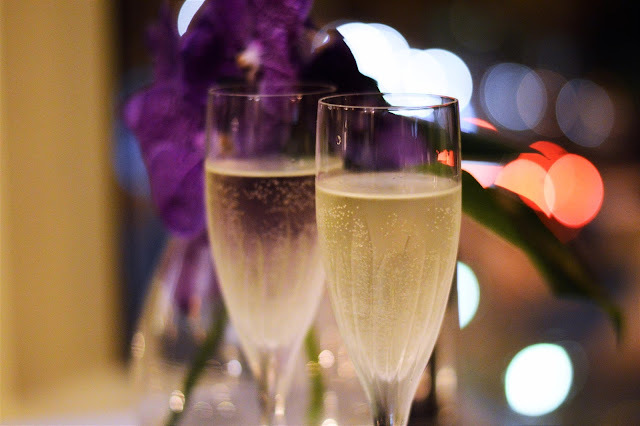 * Enjoy three-courses from Seasalt's special menu for just $69.00 per person. From 17 August 2015, in Seasalt Restaurant, Crowne Plaza will be featuring a special menu from their Culinary Ambassadors group of incredibly talented and award-winning chefs. 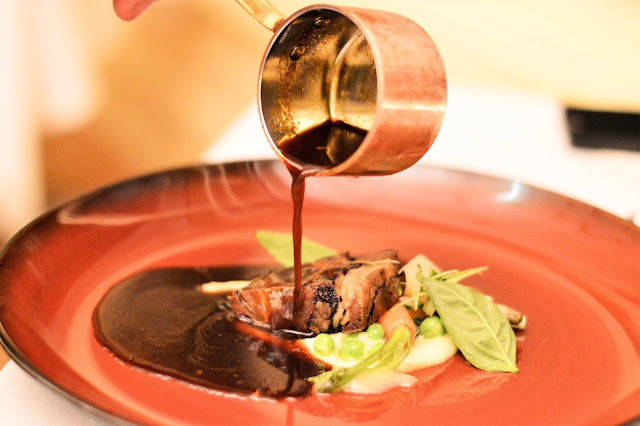 This menu represents the chef’s individual culinary journey, such as Theo Randall’s childhood trips to Italy or Sam Leong learning Cantonese cuisine from his father. To make a reservation please call 02 4384 9133. Menu is available until 15 November 2015. *AmeriAus was the guest of Crowne Plaza Terrigal.